I have been playing around lately with knit play food. 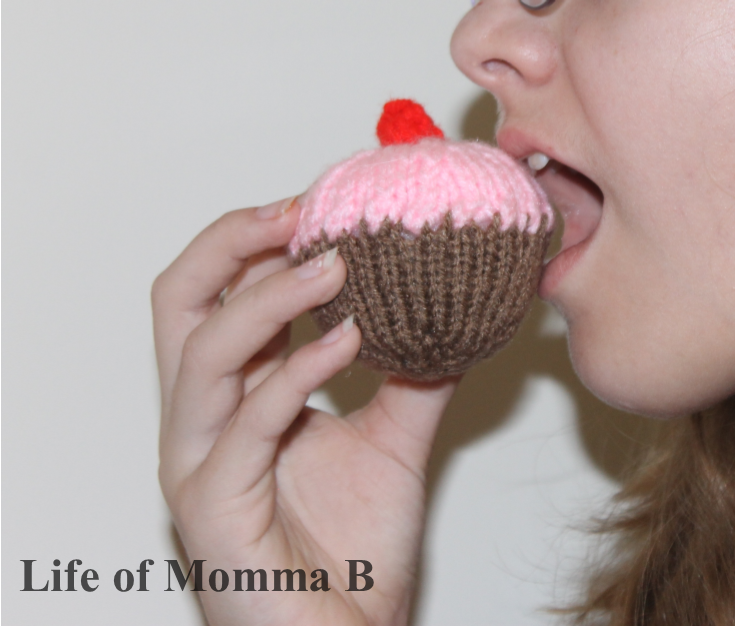 I was fortunate to find a free pattern on Maiya Knits for a simple cupcake. Armed with some scraps of yarn, a set of #5 dpns, and some fiber filling, I was able to knit this in one evening. I did adjust the pattern slightly. I opted to leave off the face as I was looking for something a little more realistic than cartoonish. I also did not knit the cupcake liner that was included in the pattern. I decided that it was great without and now I can knit something else. This entry was posted in Knitting and tagged Amigurumi, brown, food, free pattern, pink, stash buster, toy. Bookmark the permalink. 2 Responses to Cupcakes anyone? Looked very real the first time I saw the pic.. Thank you. It is the perfect size for a “real cupcake”.